How do I become a WFF Pro? WFF International offers amateur competitors the opportunity to join the WFF Pro division at more than 25 events around the world. Click here to see the list of upcoming WFF Pro Qualifier events in 2018. WFF Pro Status will be awarded in accordance with the WFF Pro Division Regulations. 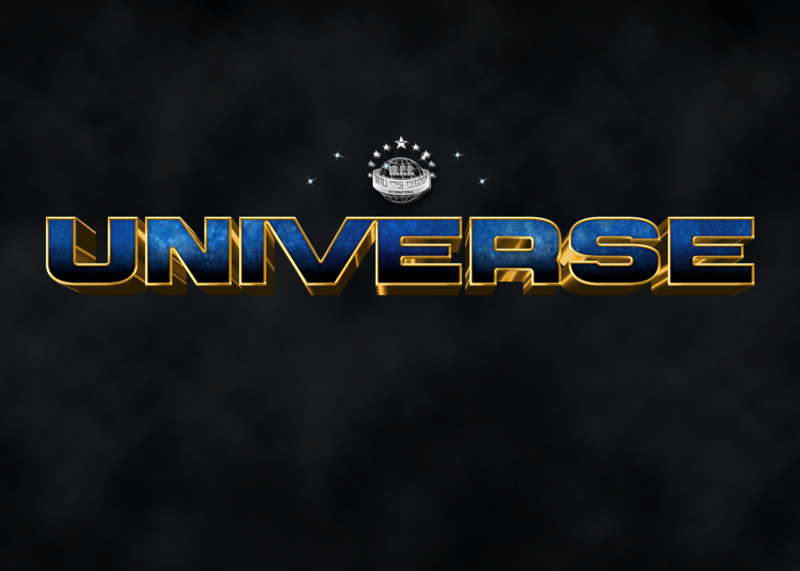 Are WFF Pros allowed to compete as amateurs? From April 2018 onwards, anyone who has earned their WFF Pro status will be ineligible to compete as an amateur in WFF, or any other organisation. 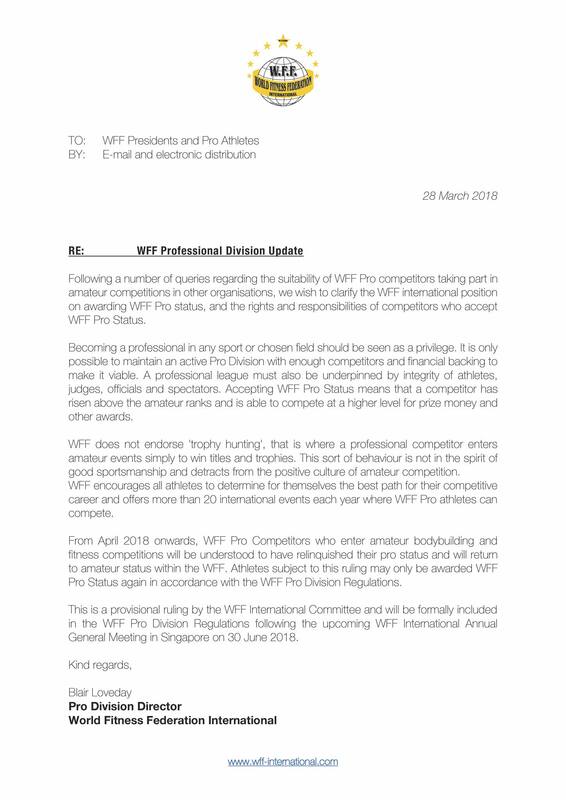 Where a WFF Pro chooses to compete as an amateur, WFF International will understand this to mean that the athlete has relinquished his or her pro status. This information was provided to WFF Pros and WFF Presidents. Click here to see more. Athletes subject to this ruling shall be eligible to regain their WFF Pro status in accordance with the WFF Pro Division Regulations. How do I qualify to compete at a WFF event? Will WFF International sponsor me to compete? WFF International does not provide direct sponsorship as this might create a feeling of bias towards certain competitors. There are plenty of fantastic brands that support competitors through sponsorship and brand ambassadorships and we recommend contacting those brands to enquire about whether they would be interested in supporting you. I’m a professional with another organisation. Can I compete with WFF? The simple answer is yes. However, in the same way that WFF discourages WFF Pros from competing as amateurs, some other organisations have similar policies. You should ensure that you are aware of any obligations under your current pro status before stepping on stage.